When looking at the most developed economies around the world, they have all gone through a period of economic growth that has revolved around the concept of entrepreneurship, in some way or another. In fact, the future of South Africa itself is highly dependent on the overall growth of small business. It has been estimated that SMMEs are responsible for approximately 60% of employment and 40% of remuneration in the country at the moment. 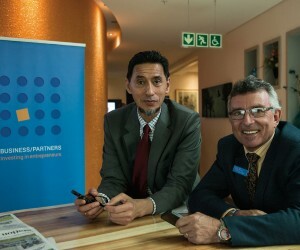 In October this year, risk financier Business Partners Limited (BUSINESS/PARTNERS) launched its R300 million Green Fund which has a specific focus of financing and supporting sustainable businesses and projects which seek to positively impact on the environment and, simultaneously create wealth and jobs. 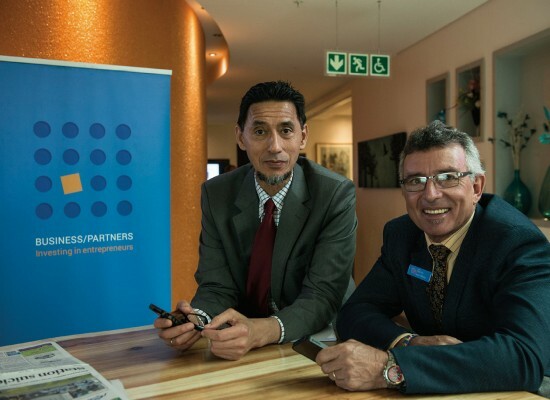 Achiever spoke to Gerrie van Biljon, BUSINESS/PARTNERS’ Executive Director, and asked him about their new SME Green Fund and what it means for small business in South Africa. “The BUSINESS/PARTNERS Green Fund is a R300 million fund specifically established to finance and support sustainable businesses and projects which seek to positively impact on the environment and, simultaneously create wealth and jobs. Every year as part of our strategic planning processes, we evaluate our business and the environment we operate in to identify opportunities for growth and product or service requirements for entrepreneurs. “The Green Fund is needed because there are opportunities to create jobs, and to establish and grow businesses while greening South Africa. A study by the Deutsche Gesellschaft für Internationale Zusammenarbeit (GIZ) and a joint study by the IDC, Development Bank of Southern Africa, and Trade and Industrial Policy and Strategies, estimates that at least 400 000 jobs could be created in the broad green economy in the country. For these jobs to be created, we need to equip entrepreneurs to identify some of the opportunities and then equip them to service the various sectors,” Van Biljon says. He further points out that the launch of the Green Fund was aimed at creating awareness about the existence of the Green Fund ad how entrepreneurs can benefit from it. This he says, has gone a long way towards creating awareness supported by the media exposure that we have received since the launch. In terms of how the fund will contribute to bridging the skills gap in the entrepreneurial sector, Van Biljon says beneficiaries of the Green Fund have access to a R50 000 interest free loan for technical assistance and access to dedicated industry specific mentors. These two services would contribute towards knowledge building and skills development for the beneficiaries. He says there are several financiers that have established green funds for entrepreneurs, for instance the Green Energy Efficiency Fund (GEEF) by the IDC, and because there are many opportunities that exist, we would encourage others to follow. “The GIZ report estimates that 51% of the potential jobs that could be created in the green economy could be in natural resource management, 26% in renewable energy generation, 16% in energy efficiency and 7% in emission control and pollution. These are the areas in which SA companies have opportunities to fund entrepreneurs. Therefore South African companies, particularly financiers, should focus in these areas. “Our core focus is to provide finance for formal small and medium enterprises and by doing we are contributing towards growing SMEs and ultimately job and wealth creation. Financing SMEs means that these entrepreneurs can employ people in their businesses. They can also provide for their families and by making a profit, and they can create wealth for themselves. To date, we have made over 70 500 business investments and in the process created/sustained about 596 388 jobs. Our experience and example should serve to inspire other financiers to do the same,” he says. Van Biljon mentions that South Africa’s road maps for development, namely the National Development Plan & New Growth Path, identifies the green economy’s potential to reduce adverse environmental impact of human production, consumption and disposal poverty, unemployment and inequality. “By providing finance to SMEs, we are providing them with an opportunity to create wealth for themselves,” he says. He further points out that the South African Government is seeking to achieve a 34% reduction in domestic Greenhouse Gas Emissions by 2020 and 42% by 2025 in an effort to green the economy. By financing businesses in this industry, for instance, would contribute towards meeting this target. Some of the businesses, he says, might also contribute towards decreasing reliance and pressure on Eskom and provide the country with cleaner energy. “The Green Fund seeks to develop, grow and invest in sustainable businesses, enabling them to capitalise on opportunities in the ‘green economy’—especially in the clean and green technology, the renewable energy and recycling sectors—and deliver on its inherent job and wealth creation potential. There is no specific preference in terms of what type of businesses. But, generally, we finance viable businesses which actively develop, manufacture and provide goods and services aimed at ‘saving the planet’; and or which ‘seek to, or are doing, the right thing’ by implementing measures and or technology which reduce their adverse impact on the environment. Businesses that are excluded are businesses which do on-lending, primary agriculture and or operate in sin industries,” he says. When asked whether he has any advice for those interested in applying for finance from the fund, Van Biljon says he would advise them to do their research and have all their relevant documentation ready as this will ensure a quicker and easier process. “For instance, we require a complete business plan to be in place before an entrepreneur can apply for investment finance from us. However, we also have a guide to writing a business plan which can be found under our knowledge hub on our website. Entrepreneurs are also welcome to call our Entrepreneurs Growth Centre to speak to one of our mentors,” he says. So how does one go about encouraging other companies to take on initiatives such as this? According to Van Biljon, the key issues to note is that South Africa is one of the most carbon-intensive economies in the world and the country reportedly accounts for nearly half of Africa’s carbon emissions and is the 12th largest emitter globally. “What is therefore important is for companies in general to review their businesses and evaluate how they can green their businesses. SME owners who want to implement energy saving related projects within their own businesses can obtain finance from the Green Fund. “All parties have a responsibility to play a role in ‘doing the right thing’. It starts at home, saving water and recycle waste. Then big business can set an example of being a good corporate citizen. Government can set the tone by offering incentives and introducing regulations to support the cause,” he concludes.